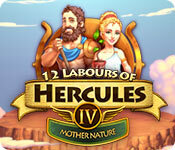 12 Labours of Hercules IV: Mother Nature is rated 3.9 out of 5 by 16. Rated 5 out of 5 by shanyem from Great Game! BUY this game! It's a lot of fun and very much worth it. 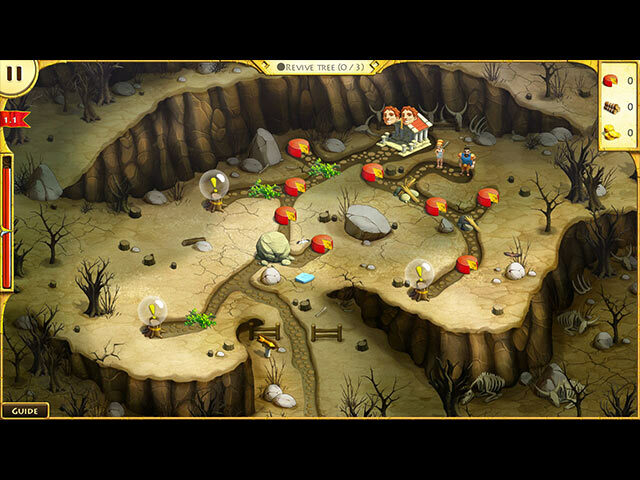 The levels are challenging, graphics are fun, etc. Rated 5 out of 5 by pennmom36 from Angering The Gods Zeus has called upon the gods to deal with Hercules once and for all. Their jealousy has gotten the best of 'em, he's strong, he's handsome, and he's adored and admired by his people, but he's only a demigod! During a celebration to acknowledge their appreciation for his hard work and loyalty to the people, someone poisoned Hercules! There's nothing that can stop this mighty man, and Hercules is back on track and ready to roll up his sleeves. The once fertile lands have withered and turned into a desert wasteland, with the absence of Hercules . Together with the help of his wife Megara, they must restore withered trees, and turn this wasteland into a lush garden of Eden once more. There are three different modes of difficulty, Relaxed, Casual and expert, and every level that is completed within Gold Time (3 stars) will reveal a part of the ancient castle which I believe is supposed to be Mt. Olympus, but I could be wrong on that one. Each level has a puzzle piece to find which looks like an ancient rune tile, I look for the puzzle piece before clicking on anything which starts the game, that way I don't forget about the puzzle piece or waste time searching for it once the clock starts ticking. You can replay any of the levels to try to get a better score, or if you forgot the puzzle piece. The Collector's Edition has the addition of several Achievements to earn for tasks such as collecting a resource after completing the level tasks, completing the level without using bonuses or finding 5 and 10 puzzle pieces. There are the usual tasks of building and upgrading farms, sawmills, goldmines and even storage facilities, clearing and repairing paths, and collecting food. Each task requires a certain amount of resources to complete and when you scan over a task, the requirements needed are shown as well as the resources you are lacking to complete. You can click on several tasks to have the workers complete, a checkmark will appear on the item for every available worker, and flags will queue the rest in numerical order until a worker is free. In Relaxed and Casual modes, the tasks available are circled in green, yellow indicates you will be able to complete the task once the resources collected are delivered to the base camp, red indicates the item is either blocked or you don't have enough available resources. Megara is summoned to grow fruit trees and heal trees which transforms a section to a lush oasis. Then of course there's Hercules with all his strength, who is tasked with only one job, clear paths of boulders no mere man is capable of lifting! As you progress, you will receive bonuses that can be used each time the meter fills to make the workers Faster and even collect more resources. Generally, you want to use these bonuses often in order to complete the tasks within Gold Time, especially as you progress and the levels become more complicated. Occasionally you will get a chance to earn bonus points by reading plaques that give you optional tasks such as finding two Ancient Vases. The Collector's Edition has 9 Wallpapers, Achievements to earn, Collectible Puzzle Pieces, Puzzles to complete once all the pieces have been collected, a built in Strategy Guide and a Bonus story and Bonus level, However in my opinion, the Standard Edition is the better buy. You don't need a strategy guide when you can replay the levels as often as necessary, and wallpapers and achievements aren't enough to constitute such a price difference. You still get to collect the puzzle pieces and build the ancient temple with this edition, so get your TM game on Hercules style, enjoy! Rated 5 out of 5 by Lauralei from Very enjoyable biscuitsmama, you really made me laugh. I have a similar problem but I hate hidden object games because I spend half my day looking for things I've misplaced. LOL! 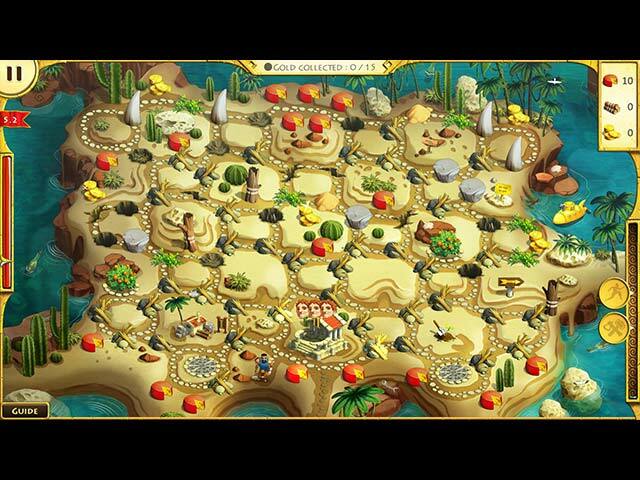 I enjoy all the Hercules games including this one. Loved seeing a TM game on a lazy Sunday. Rated 5 out of 5 by cowclaudia from Love the game The usual dorky Hercules and some very imaginative levels, i.e.,time portals, submarines and Hercules' evil twin. However, this first came out as a collector's edition which I purchased and now a regular SE which doesn't make me happy but the game is well worth it. Rated 5 out of 5 by FishyKC from Already released on BFG as a collectors edition This is a great game, but keep in mind it was released at the beginning of the month as a collector's editions so you may have already purchased it. Rated 5 out of 5 by biscuitsmama from BECAUSE OF HERCULES I HAVE A NEW APPRECIATION OF TM GAMES Let me start by saying that I am generally not a fan of TM games since I have too much TM when working BUT, I have to admit that I did find this game a bit of fun to play particularly since it has a Relaxed mode of gameplay where I don’t have to play beat the clock. The graphics and sound, aside from the repetitive clock like music are quite good. I really liked the opening cutscene and voiceover that set the stage for the game. I play my games on a 28” monitor that is hooked up to my laptop so I have a nice large screen to view and the graphics are amazingly crisp and clear with gorgeous, brilliant color. Even though TM games are generally not for me, when there was a 2 for 1 sale, I did end up getting the CE. I play the game frequently and love it. I think I have now found a new interest in TM games and that was something I never thought would happen. For those of you who love the TM genre, I recommend that you give the 12 Labors of Hercules IV a try. I think that now I am going to go back and at least have a look at previous games in the series. Rated 4 out of 5 by playerRoxie from Great fun & a bit challenging Really like these Hercules games : ) In fact I'm playing this one again right now, Expert mode is quite hard on some levels. There are so many different ways to play a level it takes a few go's to make Gold and beat the developer's record, but it's fun trying. Which way should I go first, how far should I upgrade my sawmills/farms/mines/workers, when should I build the pillars etc. to bonus my speed/resources etc. The best way is not always obvious. I generally play games with the music so low I can barely hear it but the graphics are really bright and cute, love the little guys running around! And there are extra things to do, there's a hidden tile piece on each regular level, and sometimes other things to find. I like the extra hidden objects, more TM strategy games should have this. There are also a handful of bonus levels. I love strategy TM games and while this is much the same as the previous games in the series, it's still an enjoyable play. Rated 4 out of 5 by kszanz from 12 Labours of Hercules IV: Mother Nature I have to say that I have played all of this series and enjoyed them for the most part. The first one was very hard, so that one I didn't like so much. The subsequent games have not been hard at all. My guess is that individuals commented on the first game, so the developers listened and fixed the problem. Unfortunately, the games are too easy now. 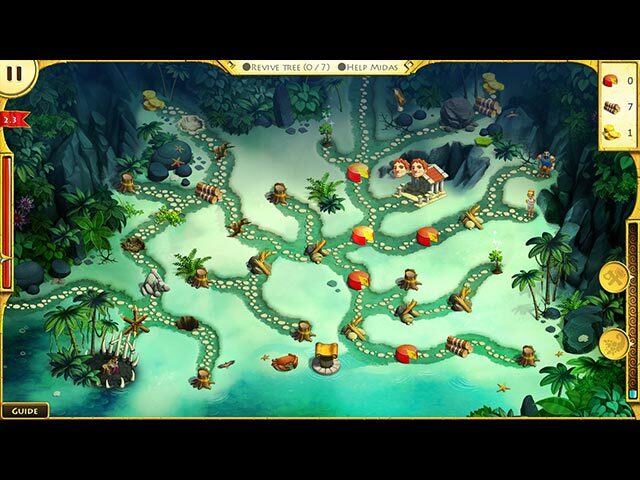 There are a few levels that are somewhat challenging; but for the most part, the levels are so easy that it takes no strategy to beat them at all. If I could ask one thing, please make future games a little more challenging. I found myself playing this last game because I bought it and not because I enjoyed it. If you fix the challenge part without making it as difficult as the first game, then I will once again want to play these. Thanks so much for listening.